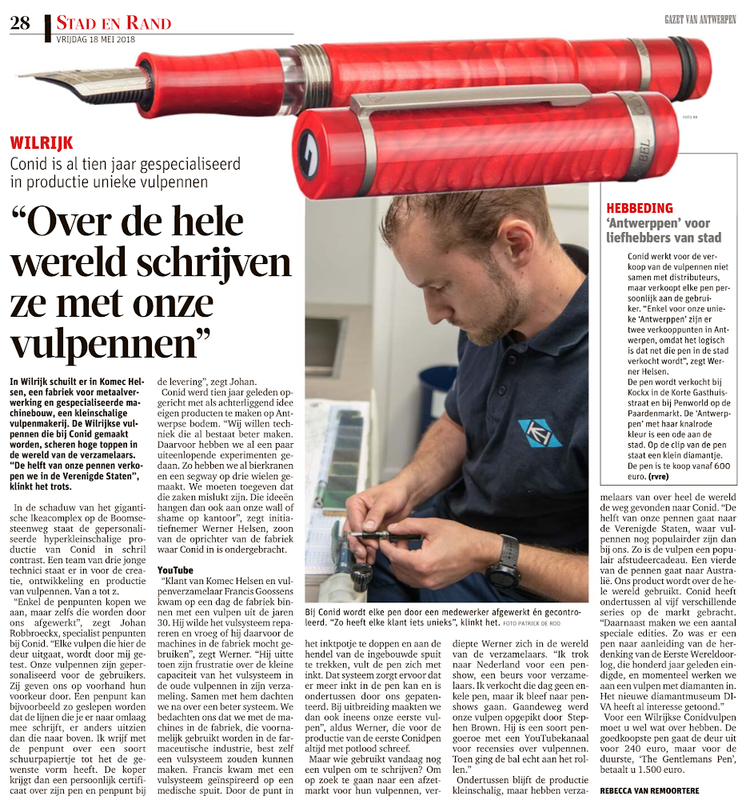 Not long ago Conid made it to the newspapers (After our interest in designing a pen dedicated to Jozef Cavens, who was in the newspapers earlier this year), Rebecca, a journalist for Gazet van Antwerpen, showed interest in the entire Conid story. She came by to get a grasp of our company, and eventually produced a page-long article about our pens, philosophy how everything came to existence. Rebecca writes about how a relatively small company, hidden behind giant megastores like Ikea, has built up an international reputation in the fountain pen world. “We only purchase our pen tips, but even those get their finishing touch at Conid”, says Johan Robbroeckx, our nibmeister. 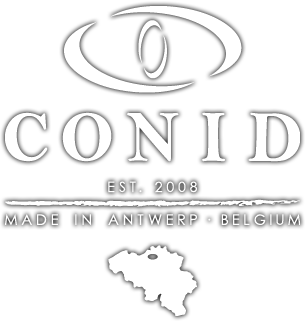 Conid was founded ten years ago with the underlying idea to design our own products of Antwerp origin. “We want to improve techniques that already exist for a while. We already did a few exciting experiments. We for example have designed an innovative beer tap or a Segway on three wheels. We however have to admit that those ideas have failed. Their designs are now hanging on our Wall of Shame at the office”, says Werner Helsen, the son of the founder of Komec Helsen, Conid’s mother company. “Client at Komec Helsen and fountain pen collector Francis Goossens one day entered the company with a fountain pen from the early ‘30s. He wanted to fix the filling mechanism and asked if he could use the machines in the company”, Werner explains. “He then complained about the small filling capacity of old fountain pens in his collection. Together we then brainstormed about a better system. We figured that with the machines in our company, which are mostly used for the pharmaceutic industry, we could make our own filling system. Francis came up with a filling mechanism inspired by a medical syringe. Through dipping the nib in an ink well, and pulling the handle of the built-in syringe, the pen can fill up with ink. In addition, we also made our very first fountain pen,” according to Werner, who claims to have always written with a pencil before the production of the first Conid Bulkfiller. In the mean time, collectors from all over the world have found their way to Conid. “Half of our pen production goes to the United States, where fountain pens are still widely used. It’s a popular gift for a graduating son or daughter, for example”.